For the most part, Canada’s best-selling SUVs and crossovers were a more popular bunch this year than they were last year. The three leaders, the fifth and seventh place finishers, the ninth-through-14th place finishers, and a few others in the top 20 posted year-over-year gains. Take a look at Canada’s 25 best-selling cars and you will not spot the same trend. 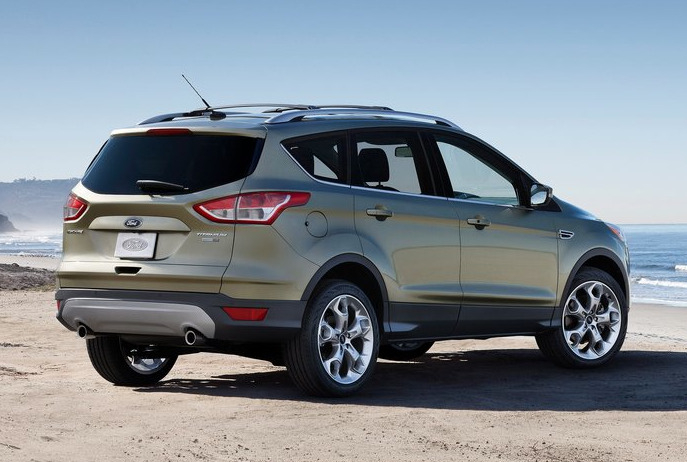 As in 2010, the Ford Escape was the best-selling SUV in Canada in 2011. Dodge Journey sales would have needed to be 52% stronger in order to put up a fight. The Escape wasn’t just Canada’s best-selling SUV, it was far and away Canada’s best-selling SUV. 2.8% of all new vehicles sold in Canada in 2011 were Escapes. Compare that with the Journey’s measly 1.8% figure or the tenth place Tucson’s 0.9% result. There’s no doubt that Canadians, whether they’re personal buyers or business owners or rental companies, love the Ford Escape. Or at least they love its low price, an attribute the next Escape may not be able to replicate. Including the two leaders, there are nine so-called domestic SUVs or crossovers on the list of Canada’s 20 best-selling SUVs you’ll scan you’ve already scanned below. That leaves seven Japanese entries (one of which wears a premium badge) and four Korean utilities. Keep in mind, there are only five Korean SUVs/crossovers currently on sale in Canada. Hyundai’s Veracruz found just 1525 buyers in 2011. Kia also sold 137 copies of the now defunct Borrego. Jeep’s landing percentage isn’t bad, either. Of the five SUVs Jeep sells, three are among Canada’s 20 best sellers. Jeep also sold 1950 Libertys and 6619 Compasses. The Jeep Wrangler, seventh on this list, was up 41.3% in 2011. The Wrangler is the only vehicle from GoodCarBadCar’s Good 12 to make it onto this best seller list. These are the 20 best-selling SUVs in Canada. Check out detailed monthly and yearly sales figures for each nameplate, and any other nameplate currently available in Canada, by accessing the dropdown menu in the top right of this page.